I sometimes love the “other” photos more than the perfect portraits. 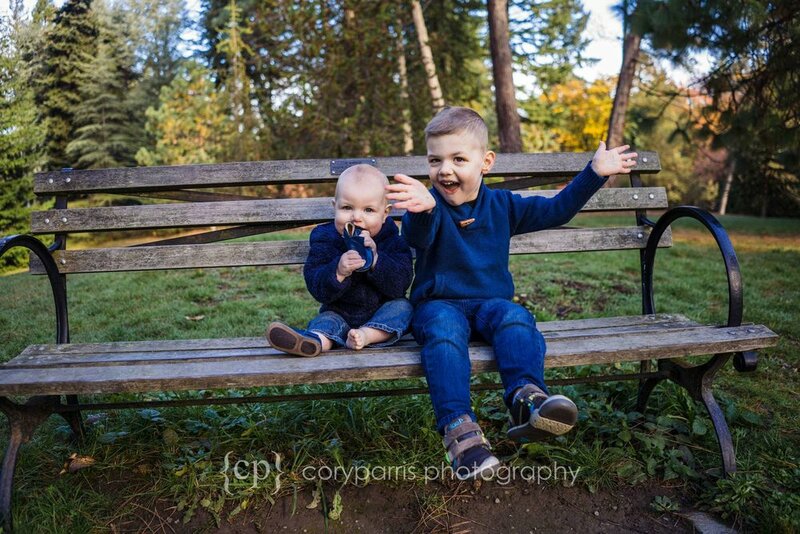 Here is a photograph with one kid chewing on his shoe and the other having a overabundance of personality. It’s perfect in it’s imperfection! I met the W family at the Washington Park Arboretum for their family portraits this last fall. I photographed Josh & Jessica’s wedding in 2006, so it was amazing to see them and get a chance to meet their beautiful boys.